I have now owned my 2016 Turbo S for over a year. I thought I’d do a quick update after a year of ownership. If you’re not interested and want the quick version then here you go: Still the best car I’ve ever owned. Incredible to drive. Very reliable. Love it. Reliability: My car has over seven thousand miles on the odometer and its performance has been, for the most part, very solid. In the interest of full disclosure I will mention the following: I had to have a leaking windshield wiper reservoir replaced (under warranty). Periodically I hear some strange noises I can’t explain (an intermittent groaning noise under the dash – although it’s been awhile since I’ve heard it). There are some little rattles here and there (dash, squeaky seat). A few other quirks pop up now and then such as the stereo restarting or the passenger thermostat not working for an evening. I would say, however, that the amount of issues is on par with or less than most other vehicles I’ve owned. The aforementioned aside, all the electrical and mechanical systems seem to be working correctly, no [other] leaks, emissions tests run (with the right tune) and the car seems very happy. I would say the reliability thus far has been excellent. 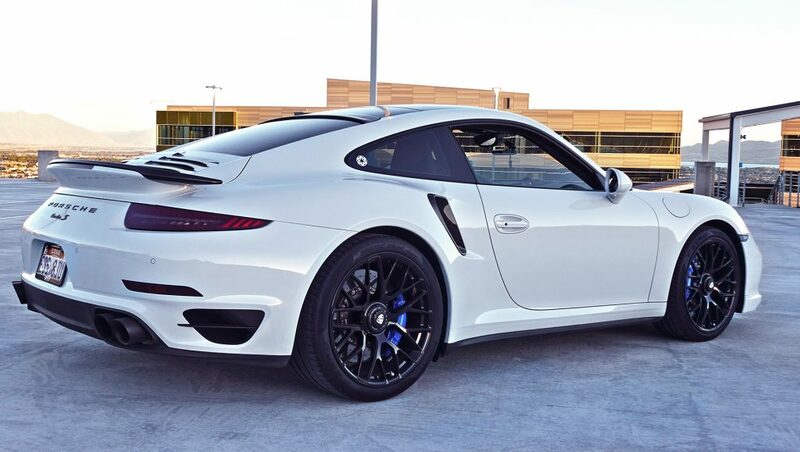 One thing that’s noteworthy is that the service at Ken Garff Porsche over the past year has been outstanding. That makes me feel more comfortable when something goes briefly amiss- I feel like they have my back. Their proximity has also been a huge bonus. They happily give you a loaner car or provide pick-up/drop-off services but I love dropping the car off and walking home along the trail. Projects: While I’ve undertaken a few modifications myself (i.e my center console, carbon fiber additions, etc) I have left some cosmetic and electrical changes to the professionals. I think it’s safe to say that I feel less confident tinkering around with this car than I have with previous cars. 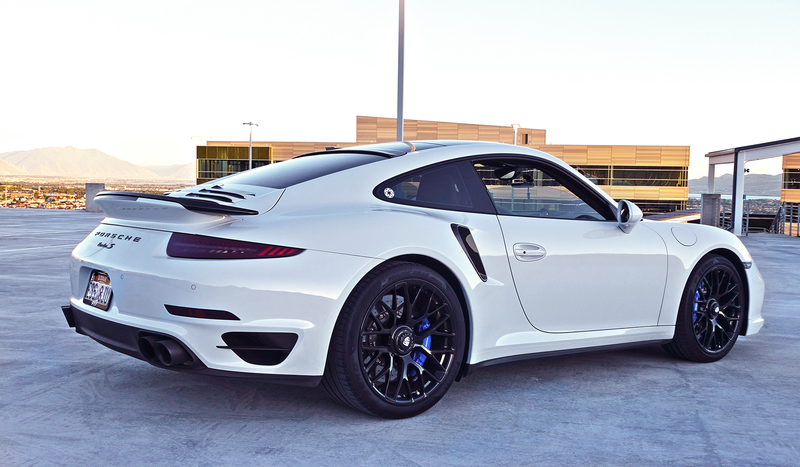 That being said there are still tons of cool (non-invasive) ways to customize the 991 series. Modifications, Mechanical: So far I’ve really just stuck to the time-tested modifications I’ve mentioned before on my blog: Fabspeed 991 Turbo Supersport X-Pipe exhaust w/ the quad-Style Tips, sport headers, , HJS 200-cell racing sport cats, BMC F1 air filter, ByDesign intercoolers, IPD plenum & Y-Pipe and then a tune via the 991 Cobb Accessport Port. Obviously I haven’t pushed any boundaries or ventured into uncharted territory but for the most part I’m pretty happy with what I’ve done. The only thing that I’m not totally satisfied with is the drone that the Fabspeed makes at certain speeds / RPM ranges. However, aside from the periodic drone I do love the sound of the exhaust. At this point I still don’t actually know how my modified car compares to a stock Turbo S (I haven’t made too much of an effort to find out). Once upon a time I had plans to upgrade the Turbos and add meth injection. However, I think I’m nearly over that infatuation. I like how the car performs right now so I don’t want to go further down the rabbit hole. As thing stand I can’t run quarter miles at RMR (I’m not adding a roll cage) and there aren’t a lot of places around here to max out the car so I don’t see the need for more speed (wha- whaaaaa whaaat??). Performance: Still top tier in most respects (not much has changed from any of my other reviews so this section will be pretty short). I think I’ve definitely gotten comfortable with the car’s handling and in some ways that makes the car more enjoyable to drive. I took a drive through the AF canyon recently and pushed pretty hard. Previous cars have always made me feel nervous but the Turbo was so planted and handled so well it actually surprised me. I’d also say that I’ve gotten used to the car’s speed; it’s still fun, but the adrenaline rush has definitely diminished a bit. I think that getting used to your car is inevitable and, for many, it’s part of what compels people to keep modifying their car. I find myself carelessly close to the siren mod-reef on many occasions . But the bottom line is still the same: I’ve never never had a car that’s more fun to drive. Ownership (attention): The car is fairly nondescipt, as far as cars like this go and I am generally ignored by other drivers. As I have modified the car it has gotten a little more attention. That’s not necessarily a positive thing for me as I’m certainly not making any changes to garner additional attention. Whatever you own- house, car, clothes, jewelry- you open yourself to some level of public scrutiny. Generally the reception to the car is positive. There are a few detractors now and then and I will admit that owning the car occasionally feels uncomfortable. Dislikes: There’s just not a lot to dislike about this car. I’ve hit on things in my blog from time to time but it’s little stuff. No volume indicator- just ridiculous. I have gotten blasted so many times… at the very least there should be a volume level indicator when there’s no input. Not a huge one, but the sunroof doesn’t open all the way. It opens enough but I feel like I’ve been robbed of a few inches. The exhaust drone is not my favorite (truthfully I almost never notice it when I’mm by myself- only with company). Not totally keen on the placement of the only USB port although this really isn’t an issue since I got my Rennline Phone mount. I don’t mind the inconvenience of center lock wheels. I don’t mind the tiny back seats (I love that they are even there). No objection to the lack of storage in the frunk- it’s always been plenty to accommodate what I’m doing in this car. I can’t even think of anything else that I might dislike. Likes: Where do you start on a car like this? I love the look. The feel. The smell. When I get in the car I feel transported to another world with only two rules: Feel good and go fast. So much headroom. So much space in general. I’m a 6′ 4″ 260 lb guy who feels like the car was built for me. The visibility is so good. The seats are so good. The stereo often blows my mind- the Burmester offering is so outstanding that sometimes I just go for a drive to listen to music (to be absolutely fair- the subwoofer has a hard time on some bass-heavy songs). Purchase Costs: The base price for a 2016 Turbo S is readily available online and that’s about what I paid (you could say I got my option upgrades for “free”). I traded in my ’15 Corvette on this car which reduced my taxes on the new car by about $6,000. I paid title and registration fees and I purchased, a service contract and some additional warranties (after a year of ownership I have concluded I can sell back two of these for a prorated refund). I don’t have to take into account any costs of interest because I don’t have a loan. If I sold the car right now I think depreciation would hit me to the tune of 18% or so. Upgrade Costs: I have spent a ton of money on upgrades (many of which are listed here). I could probably recoup 1/5 of the money I’ve put into my upgrades when I sell the car so I can pull those from the cost, but the rest is stuck in that car. Granted, I didn’t have to do the upgrades, but I did and they are part of my personal ownership costs. Insurance costs: $2000. Gas costs (7000 miles at 17 mpg average at $2.90/gallon + $400 of racing fuel & additives): $1600. Gas Costs: Total cash cost (as in cash I can’t get back from this car) of ownership for year one: $212 / Day or $11 / mile. Totally insane, right? Now, if I keep the car another year and don’t do any modifications it gets much better. Taxes, tiles, registration, warranties, and the upgrade costs were all paid for in year one so we don’t have to worry about those (you do have to count modification costs moving forward – I’ll probably spend about 5K a year on those). I’ll get hit with some depreciation from year one to year two (and so on), but it won’t be as bad- say $10,000. I’ve got the racing out of my system so fuel is just $1200 (7000 miles again). Insurance will be about the same. No maintenance costs yet because I have a service plan and my car is still under warranty. Total cost of ownership in year two, three and four (depreciation, fuel, maintenance, insurance): $50 / Day OR $2.60 / mile. Obviously the smartest thing you, as a savvy car buyer could do, is let someone else take the financial hit in year one. Maybe I’m not so savvy, but I’ve gladly taken the bullet for someone down the line. FYI: By the end of year four the warranty expires and maintenance that is no longer covered by an existing service agreement. Depreciation is still going on and maybe a bit faster since the car is out of warranty. It’s very possible that year five and up costs will be similar, but it’s more likely they will be higher than two though four. Final Thoughts: I am really sold on the Porsche brand. I think any car in their line up would be fantastic but I have a special affinity for the 911 series and, in particular, the Turbos. I’ll conclude the way I started: Best car I’ve ever owned. 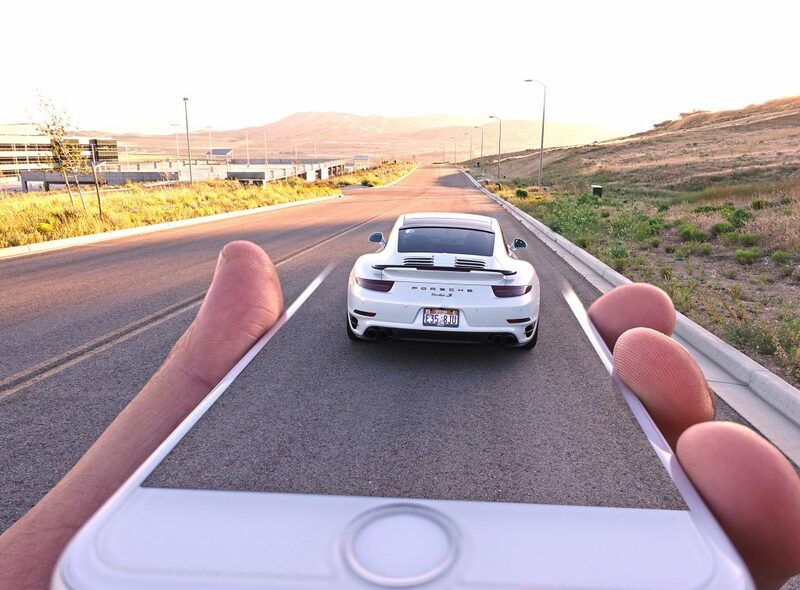 Incredible to drive. Very reliable. Love it. A couple of days ago Justin and I finished the stereo wiring in the car! Ultimately I had great time and I learned a ton of fun stuff, but the stereo upgrade was a way bigger project than we had thought. Running all the cables and keeping them hidden was really tricky (we ended up pulling out tons of the body paneling). The mess of wires behind the head unit was intimidating but we got everything wired up a-ok. I will confess that it was a little frightening to see my car in so many pieces. I got everything put back together earlier tonight and spent some time road testing it. For the most part I’m really happy with everything. The two subs (JL Audio 8″) are fantastic. They give off nice tight base (which is what I wanted) but still sound very full. I replaced the stock speakers in the rear with some 5 1/4″ Kenwood Exelons (nothing fancy) which have a nice bright sound that complements the subs. I left the 10″ stock speakers in the doors- for now they get the job done just fine. Everything (subs and mids) run of the two Alpine amplifiers (both 250 watts). As an aside, cramming everything into the trunk and still leaving room for the removable roof was difficult, but we pulled it off! Visually I think the set up is very appealing. There’s a lot of tuning left to do, but I think the final result will exceed my expectations. Sadly I’ve got humming noise that parallels the engine speed. I need to figure out where it’s coming from and what’s causing it. My initial hunch is that the ground wire is too long (the chassis of the car is fiberglass to we had to run the ground wire back to the battery- nearly 16 feet). It may also have to do with poorly shielded wires in the engine bay (i.e. spark plug wires). This, coupled with my Blu Ray sync issues, has made it a bad month for sound! Ah well- it makes me feel manly when I fix stuff. After coloring eggs I commenced the wiring portion of my subwoofer / amplifier install. That’s going to be a big job. Mike was a huge help and we got the seat and some panelling out and and started running the ground wires and RCA cables. This coming week I’ll have to remove the center console and the actual receiver (from the instructions I’ve got it won’t be fun). But hey- that’s what life is all about: Doing things that aren’t fun with the hope that later something not fun that you did will result in fun. The one thing I was able to do while I was a bachelor was start my new car stereo! I’m not an audiophile or anything like that, but I do like to turn my music up pretty loud while I drive. My friend Justin suggested that we add some sub-woofers and a couple of amps. He made some custom speaker boxes for the trunk area of my car (it’s hard to tell from the picture, but the boxes are sunk about 9 inches into the trunk bed). We put two 8″ subs in each box and we’ve got two 250watt amps (one for the subs and one for the mids). All we have left is the wiring (which will be the hard part) and I’ll be ready to blast out my ear drums. 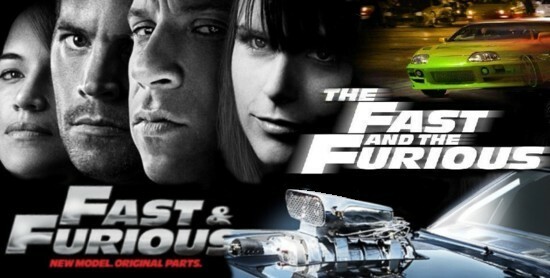 I got to see “Fast & Furious” on opening night last week (thanks Fran!). Anyone who knows me can tell you I’m a fan of the series (and a little nutty about tricked out cars). I hosted a Fast & Furious party the Tuesday before the movie came out. I had hoped to make it through the first and third movie (I don’t care too much for the second), but there was so much action in the first that everyone had adrenaline overload and bailed. I felt like “Fast & Furious” was a nice addition to the franchise- it filled in some gaps in the movie arc and provided a few unexpected twists and turns. Definitely worth a watch. I’m sure everyone is sick of hearing about my car projects. So here’s another one! In past posts I have mentioned various stereo upgrade projects (head unit, amps, sub). But the stereo wasn’t complete…until now. I finally replaced my stock speakers (mids & tweeters). Overall, I am extremely happy with the cumulative results. I picked JL Audio ZR-series component speakers (ZR-650CSI for the front and ZR-525CSI for the back) based on reviews I’d read and because I have liked my JL Audio sub so much (the ZR series speakers produce very clear and accurate sounds). The original speakers in the C6 are these monstrous 10″ paper things. Nasty. I has to make adapters to fit the JL Audio 6.5″ set. I used 1/4″ oak ply covered with foam. Same thing for the tweeters. The speaker install was pretty painless. The hardest thing would have been running new speaker wire but Sound Warehouse had done that last year. Getting body panels off can be tricky, but the C6 Vettes are pretty straight forward. I decided to put the front crossovers in the doors. Instructions will tell you never to put them inside the door, but there’s a right way to do it. I mounted them in the side impact foam- they are perfectly safe from water and dirt. I mounted the rear crossovers behind a carpeted body panel in the trunk section- safe and accessible. With the panels back on everything looks great. I mounted a component set in the back and my only concern is that I may have mounted the tweeters too high. I might consider moving them down a bit if I can’t get it tuned just right. Speaking of tuning- Jim helped me tweak the setting on the amps and crossovers. We pumped out some Enya and tingled. When your stereo makes you tingle you have a winner. Below is the total rundown of my project. The labor time listed includes fabricating parts, carpeting, installation & testing/tuning. I’m not going to discuss price, but you’ve got everything you need if you really want to know. The bottom line is that I’m thrilled and I feel like it was worth the time and money I put into it. The stereo is finished. Now it’s time for the engine. Maybe. Probably. Yes, Definitely. Pioneer Avic Z1 head unit with the Sirus/XM radio, blue tooth and iPod modules (install by Sound Warehouse). JL Audio ZR component speakers: 650CSI in front and 52sCSI in back (custom front speaker plates & install by me, 12 hours). Kenwood XR-4s amp for the mids & tweeters and Kenwood XR-1S amp for the sub woofer (custom amp rack by Justin & me and install by me, 8 hours). JL Audio W6 10″ sub (custom sub box by Justin & me and install by me, 7 hours). Below is part of our storefront. What you see below completely filled our old store from wall to wall. The current storefront is about three times larger and we have a lot of extra space. It’s a great, but it looks bad… next year we’ll finish it off with counters and more shelving. This is our warehouse operation. The new warehouse is about five times biggest than the old one which gives plenty of working space and tons of room for new products (most of the warehouse is still empty at this point- I didn’t post a picture of the empty space though). Our tool area and photo studio areas. Having a dedicated room for pictures is awesome. This is the office that I share with Fran. I’ve got a picture below of the old office we used to share. It was 8′ x 7′ and we were both crammed in there. I don’t know how we did it. This one is 16′ x 12′ and there’s plenty of room for two (and even a couch… which I desperately want to try sleeping on). This is Jim’s office. He favors the more executive approach- looks good! And then Jim’s beloved data closet- It’s all he’s ever really wanted. We got ourselves a conference room with a pompous table and some executive looking chairs (really comfortable chairs though). Our new break room has a sink and a full sized fridge (it has changed my life). We still have the Street Fighter arcade and SNES too. But…. The Ping Pong table has really taken over as the popular break time option. The upstairs lounge has a few couches that spectators can watch from too. I commandeered a little corner space in the warehouse which I plan to make into a garage of sorts (for cleaning, light maintenance, etc). Below are some pictures of the move. Moving is always emotional for me. Our old store served us well, ultimately it just wasn’t meeting our needs. It felt really strange to see the store empty again. This was our old office (remember, Fran was in there too). 7′ x 8′ people! The back wall in the pictures is the 7′ wall. Initially this room had an 8′ ceiling, but we had it raised up to 9′. It really makes us appreciate what we’ve got now. Despite my agonizingly busy schedule we went up to Idaho for my sister’s wedding. The ceremony was held at a beautiful converted church. Erin Hughes and Doug Atwood were married on June 23, 2009. We couldn’t be happier for them! They currently reside in Idaho. Check out their wedding website HERE! My busy schedule caused some casualties though. Fran got a Costco Gazebo for our yard at the end of May. It’s still sitting in our yard like you see it below. I’m going to try and get it built for our Anniversary though (end of July). Fran has been busy growing roses and I think they are gorgeous (one time I sprouted a mustard seed which died shortly thereafter- that is the extent of my gardening ability). I did steal some time to work on another car project that’s been haunting me for several months. I recently got a new car (a newer Corvette) and, aside from the usual tune tweaking, one of my first projects was to put in a new Stereo. I put the head unit and mid speakers from my old car into my new car but I couldn’t move my subwoofers because of car design differences. Justin was on the job- he built my sub box and amp rack and I did the carpet and installation. I relocated my trunk lights to the center (previously they were on the corners where the sub and amps now go). I think I like them better there. Instead of two 8″ JL Audio W3 subs I went with one 10″ JL Audio W6 (it’s a beast). I’m running matched Kenwood Excelon amps. Since I only have a single sub this time we tried to balance the visual presentation by putting the amps in the other corner. Overall I think it turned out great. There’s a ton of other things that happened too, but Fran’s got them covered on Facebook (she posts albums for each month). Some highlights: Fran’s birthday, Gabriel’s Birthday, Father’s Day, Stadium of Fire, and lots more.